Two Canadian soldiers who fought at the Battle for Hill 70 in France are the subject of today’s blog series, First World War Centenary: Honouring Canada’s Victoria Cross recipients. Sergeant Frederick Hobson, V.C., a veteran of the South African War (1899–1902), was living in Galt, Ontario, when recruitment started for the Canadian Expeditionary Force. Born in 1873, Hobson claimed his birth year to be 1875 in order to be eligible to serve. Private Frederick Hobson’s body was never recovered. He is honoured alongside 11,000 other Canadian soldiers at the Vimy Memorial in France. Major Okill Massey Learmonth, V.C., was born in Quebec City in 1894. On August 18, 1917, he was an acting Major with the 2nd (Eastern Ontario) Battalion at Hill 70 near Lens, France. When a German counter-attack on their newly consolidated positions surprised Learmonth’s company, he charged and, according to his citation in the London Gazette, “personally disposed” of the attackers. Though under heavy bombardment and seriously wounded, Major Learmonth stood at the parapet of his trench and threw bombs at advancing Germans while directing his men’s defence of their position. 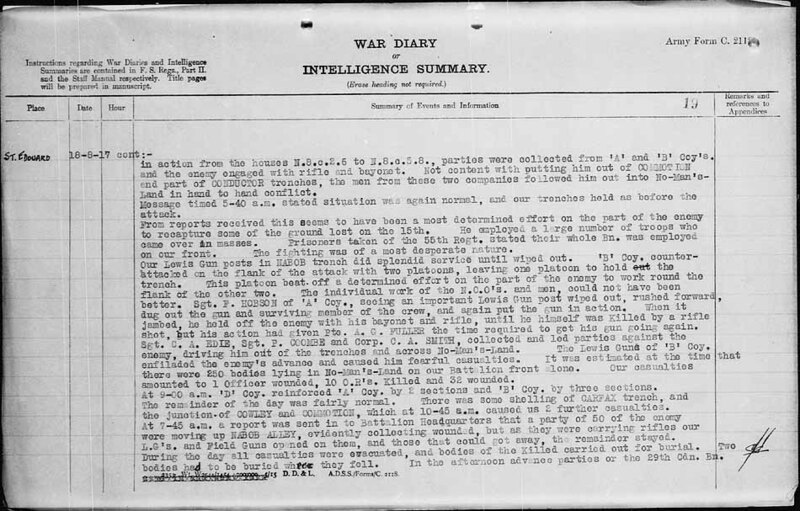 His citation for the Victoria Cross tells that Learmonth actually caught several bombs thrown at him by the enemy and threw them back, and refused to be evacuated after being wounded. He died later that day in a field hospital. Major Okill Massey Learmonth is buried at Noeux-les-Mines Communal Cemetery in France. Learmonth Street in his hometown of Quebec City is named in his honour. 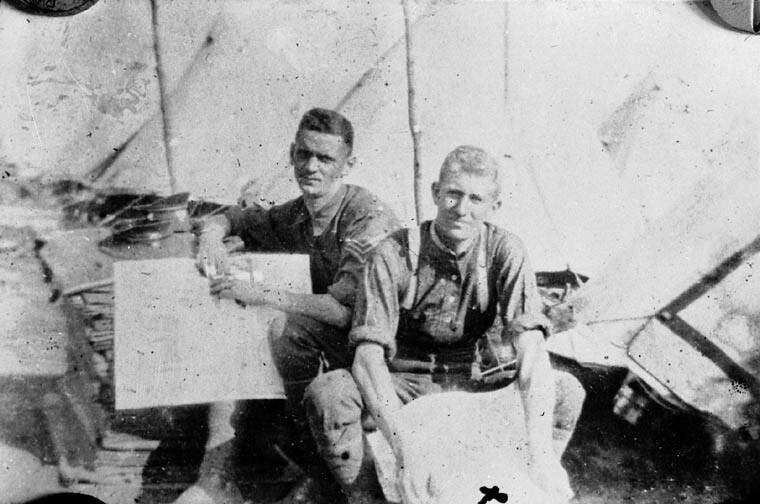 Library and Archives Canada holds the service files for Sergeant Frederick Hobson and Major Okill Massey Learmonth. 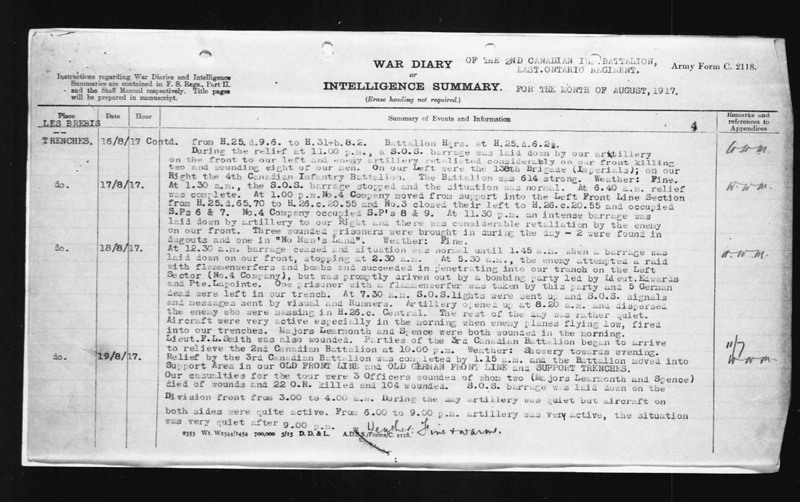 This entry was posted in Military Heritage and tagged Battle of Hill 70, Canadian Expeditionary Forces, First World War, Military, VC, VC series, Victoria Cross by Library and Archives Canada Blog. Bookmark the permalink.